The current fiery grand trine between Mercury, Jupiter and Pluto has been active for a while now, with Jupiter trine Pluto since the former slowed down to exact alignment in mid March. Since then Jupiter has been slowing to his eventual station in early May 2016. From then onward until late June he will build up to another exact trine with Pluto. So from now until late June this healthy alignment will prevail in waves of opportunity. Primarily the trine aspect facilitates smooth interaction between the planetary archetypes concerned. Considering the earth signs involved, An opportunity to ground or make real or realise some aspect of the Jupiter/Pluto trine now could manifest itself to all of us in our own personal individual ways. Pluto is the more hidden terrain of the Underworld, the unconscious; and Jupiter is the greater benefic, so instead of seeing dark repressed unconscious contents of the psyche, we have the chance to have revealed to us magnificent gems of perception. Jupiter will facilitate a solution, an answer, to the question, a meaning to the madness. Jupiter is like the teacher or doctor, for example and Pluto means more the soul doctor, the druid, the shaman, sangoma, priest or analyst. Although the threefold miseries affect us all in different ways, there can be windows of insight into the madness that sometimes seems to the plight of Kali Yuga. If you have access to a rare source of information or inspiration, whether from the external or internal teacher, a glimpse of meaning can prevail, and Jupiter’s alignment with Pluto offers that for us throughout their wide trine from mid March through to late June, those two dates being the most exact of the trine alignment. Nevertheless throughout the duration of the three month period they will never be more than 3 or 4 degrees away from exact alignment, so the opportunity for their archetypes to play themselves out, for their particular modes of nature to be in play, will certainly be within our reach, according to our receptivity. This is a perfect time for teachers to get their message across, for us to receive from the teacher, whether internal or external, great wisdom, or to even implement a course of learning, or build or establish a place of teaching. The inspiring temple spires are but an external allusion for the eye of the people to look upward, look higher; while inside the temple the books of wisdom await receptive ears. Teachers or priests are there to be questioned. A sacred place can of course look like any number of shapes according to your practice, and the teacher can arrive from any source, but feel the inspiration you will, and you’ll know it. And that gives confidence in the plan, meaning to the brief pass through this life. For some life is a war, for some a mission, ans so it is when we remember it. And to be shown what valuable part we can play by using our life time in the service of the great mission, one that started before we were born and continues after our death, is truly remarkable, significant and memorable. Use these next few months to allow the access to that truth. Remember too that Jupiter, as a hot gassy body, expands whatever it touches, and once inspired with the plan, we may find that the ego, having had the audience of the source of his or her inspiration, may feel a degree of inflation like a puffed up puri, a feeling called shadow bhava, which certainly is to be avoided. Confidence and over-inflated ego should not be confused. Confidence in the sense of having meaning and purpose and the conviction that they can be fulfilled, is always optimal, even if the manner is still unknown. Confidence is also faith. As the hymn goes: “We rest in Thee and in Thy name we go.” That hymn could have been written by any number or religions on this planet. Having confidence enables one to inspire confidence in others. It’s contagious. It’s good for the health, both mental and physical. Confidence and faith is also common sense, for the cosmos has worked for all this time and so will certainly continue harmoniously unfolding for now. Tyrants come and go. Even in Kali Yuga there are still remote hills to retreat to if that is what you need to hear your teacher. And freedom of speech still facilitates the transmission of knowledge in the land of us fortunate few. So confidence, inspiration and the desire to share a worthy post, when tempered with the view that everyone has the same potential to realize meaning, not just us, is a healthy balance now. Ultimately this is a perfect time to transform for the better, to improve and upgrade your situation on the ground, by which I mean your foundation on the earth, your physical health, material home and income, your constitution – whether philosophical, political or dietary. Ground your being in a healthy way and see how the world reveals its meaningful mysteries to you. Mercury joins the Jupiter/Pluto duo, making a grand trine alignment between the three of them, both this week in mid April, as well as mid May and early June 2016. Mercury here activates the trine and upgrades the potency or opportunity for the flow to take place during that week, the meeting, breakthrough, reform, peace deal, transmission or general facilitation of the boon or beneficial influence. Be sure to time your schedule accordingly or look out for opportunities during those dates. The rare Christmas full moon may well have many of us returning to the home and hearth of our traditional families where possible. The emotional ties to loved ones will be more deeply felt, and emotional reminiscences may bring tears to the eyes of some. The nostalgic feeling of being back home in the safety of something reliable from the past or youth is particularly stabilizing and may benefit us now during this time. And there is sure to be an avid supply of culinary delights to be shared over this festive full moon too. The actual full moon moment peaks around lunch time in Africa and Europe, so gather around the plates and cups to share the home baked treats where you can, while taking plenty of snaps and selfies to capture the moment for posterity. Those of non-Christian persuasion will probably also be with family anyway, sharing the moment. Some may find the family obligations a bit of a burden, or may find the family trying to dominate them in some way. Somehow the overly protective maternal instinct may want to nurture the brood to such a degree that some find it smothering. That’s quite understandable in this day and age. The family unit has fragmented somewhat over the generations, and the extended family is not what it once was either. Even having an uncle or aunt you see regularly is quite a luxury. In the west the family just does not count for what it once did. The demands of a career call the members of most modern families far and wide, and if you can get back together for the holiday time now, you are very lucky. Some substitute blood relatives with a like minded community or spiritual family, which is equally valuable nowadays, when cultures shift so rapidly. We are blessed in the west to have a system that facilitates annual family reunions. Many are struggling around the world now with trying circumstances that have thrown families into disarray, scattered them apart due to conflict and unrest. Whether in Europe, Africa, or Asia, we should appreciate the facility to continue our traditions in peace and goodwill. This past year has seen records broken for refugee numbers in countries and continents where parents and children are uncertain of their fate, their future, and in some cases if they will even be reunited at all. So we are the lucky ones. A prayer for mercy to flow in the direction of the displaced refugee masses would be of great help to them, even etherically, during our day of religious or communal reflection as a global family on the planet now. Mercury, Venus and Jupiter are all well aligned with each other for Christmas day too. This definitely favours speakers, academics, book sellers, writers and publishers. Particularly topics of philosophy and religion should be up for discussion over this religious holy day. Ease and confidence should be available to those required to give public speeches, and to any who plan to have a social time. Good moral and ethical decisions can be made now, as well as beneficial foreign policy decisions or relations with foreigners in general. Let’s hope this can facilitate the needs of the foreign refugees looking for shelter in the hearts, minds and homes of a strange land. You can tell a nation by how it treats its elderly, most vulnerable and its neighbours. Let’s hope we rise to the occasion. All round the indicators are there for a happy social occasion filled with song and dance this Christmas, with good cheer, good taste and social grace to make any social event a success. The one concern of course may be the challenging square aspect from Mars to Mercury that could add an active mind frame that may incline some to become slightly heated in their speech and expression, so if yours is a family that can sometimes split into bipartisan sides over a topic, or if you have one odd uncle who always puts his foot in it, then just be forewarned and have a gag and a rope ready. We can’t afford anyone having a nervous breakdown now. Rather just remember to cultivate patience and tact, along with the ability to listen to the family tales as if for the first time. Christmas comes but once a year, and sometimes it’s the only time we get to see the extended family, so be sure to make the most of it and leave a good impression as it may be with you for life. Besides that, Jupiter’s conjunction with the North Node/Rahu should help us fit in with the mood of the day, and appreciate the time honoured traditions that occur now. Just remember today that there is concern in growing or expanding too fast. Don’t take too much for granted. And finally, remember when you give out gifts that those things which are attained too easily may not always be properly appreciated by the receiver. Since Mercury goes retrograde into an inferior conjunction and then swings round again into a superior conjunction three times a year, we have three of these superior conjunction moments every year to experience Mercury moving at its fastest speed into the heart of the Sun. Demetra George, the astrologer, says it can be like an insight of genius as well as a mad overflow of information to process- in either case this is because our minds can be full of so much unintegrated information at this stage of Mercury’s cycle that we can be challenged to fully digest the material. This meaning corresponds to the speed of Mercury at this time, moving as fast as the fleet footed messenger ever moves, as from our perspective with Mercury on the other side of the Sun, it appears that Mercury is flying into the Sun. Once Mercury gets close to its conjunction with the Sun, however, it takes on a “cazimi” meaning (some consider this to be less than one degree away, others less than seventeen minutes) in a moment in time that brings the potential for a re-integration of all the material collected in the mind since Mercury moved direct in its last retrograde cycle on 9 October. If you want to be a pure astrological magician you may take advantage of this exact moment on 17 November of Mercury “merging into the Sun” to centre within yourself and make connection with the Super soul, but in case you miss this moment it is still possible to gain profound insight into not only recent events and mental exploration, but concepts of our identity and self that go back across our entire lifetime. This is because of the archetypal meaning of Mercury or the Greek Hermes who is the guardian of souls, a gatekeeper in between states of being who is always present with us during times of a death of an old identity and the birth of a new sense of self. As Mercury and Uranus lie at opposite sides of the solar system this fortnight around the second half of October, their opposition allows then to be leading roles in the drama played out by us actors who strut and fret our fated destinies on the stage of life. 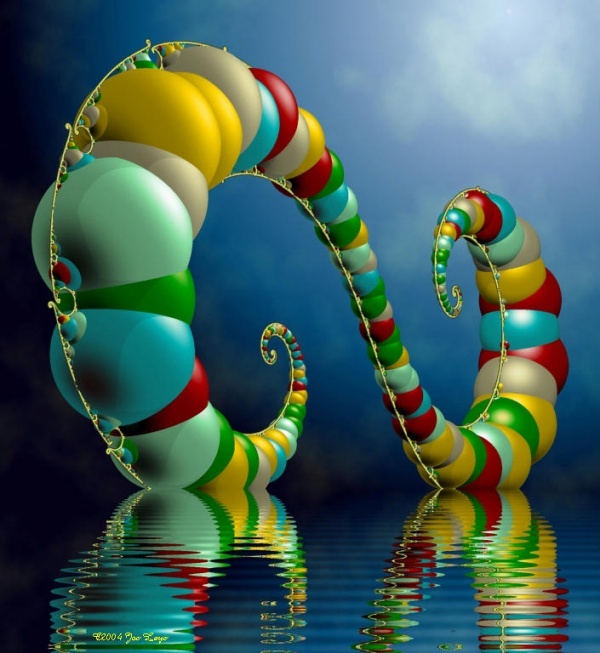 Any worthy actor can take up the leading parts of the archetypal Mercury and Uranus roles. Or it can play itself out in our own psyches. Whichever way they appear, they bring with them a rather stubborn mindset. Also a brilliant one, mind you. A mind inspired by the bolt from the blue. I brings with it the opportunity to find alternative solutions to the mental blocks of the day. Sometimes the stubborn clinging to a mindset or opinion or perception or assemblage point, leaves us unable to see the solution that lies before us. When the cup is full there remains no room for more water. Sparks may fly now, the mind can be set alight if the current is right. Just beware putting your foot in it tactlessly or arrogantly now though, for the inspiring potency of Uranus can leave even the mediocre mind feeling inflated with insights that may seem divinely channelled, but not everyone is tuned into your station or likes your brand or flavour. Two men say they’re Jesus; one of them must be wrong. But wait, A third planet comes into the alignment. It’s Pluto – now only a planetoid of course – roughly ninety degrees apart from both Mercury and Uranus, in other words half-way between the two, and therein lies the key. For whatever clash of interests is brewing between the two inspired minds, or even the two sides of one’s own inspired mind – the tension aroused, the impasse, the loggerhead as symbolised by Mercury and Uranus – a solution lies in the hands of Pluto. The T-square aspect formed between these three planets so neatly aligned, like we see in the sky this week, symbolise a challenge. But different people handle challenge in their own way. A mature person or partnership knows how to be diplomatic in solving their marital differences. They see a counsellor, for example, and that third party takes them through their unconscious behaviour toward each other, and eases the flow between the two once again. Insensitive and harsh retaliatory words will not win the day here, but rather chase away investment of future interest. As will messianic fervour that yours is the only way. What’s available now, is the ability to see the challenge, and also have available the solution, a dispassionate lucid moment, whether internally or externally sourced. Mature partnerships rise to great heights by being able to diplomatically solve their differences in a win-win attitude. And we all know the world loves a winner. Mercury retrograde is conjunct the Sun over the last week of September and the first week of October, a position known as “combust” by astrologers. 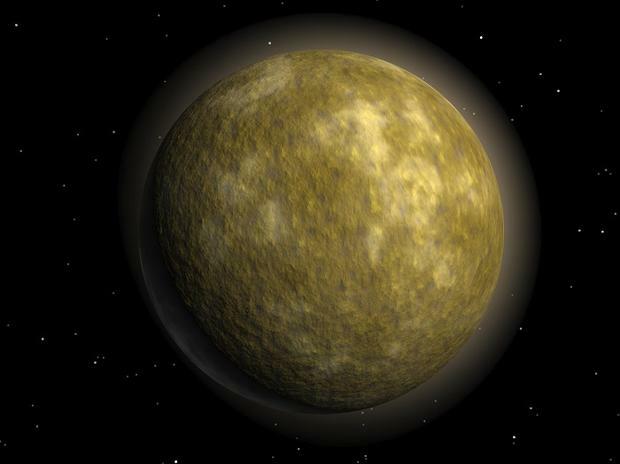 In fact when Mercury is within one third of a degree either side of the Sun (as it was on 30 September), it is known as “cazimi” or “in the heart of the Sun”. This in a very potent time mentally. Mozart was born with this position for example. In other words it has the potential to produce genius, prolific mental expression, but also – as in the life of Mozart – not always purely fine sailing. He couldn’t balance his finances at all and was usually broke. The Sun can even symbolically overpower Mercury to a degree, so that a person born with this placement may have an overbearing father (Sun archetype) or be somewhat in his shadow, or may be forever rebelling against authorities or other solar figures in their lives. Helpful for activists I presume – those much needed Mercurial mouthpieces against corrupt leaders of the day. So if you need to give a speech, make a presentation, or live by your wits in any way, then this week is helpful. The ability to shine with words is available so be sure to find an adequate outlet, as the higher strung than usual nervous system demands expression. Unsettled, restless types may find themselves more so around this time too. Watch out for those spin doctors with the silver tongue though. Since the current position of Sun and Mercury falls in Libra, thoughts and words with partners or about relationships may take presidence, which is helpful for business deals, and may popularise talk of the significant other though ultimately this time could best be harnessed to contemplate ones own personal soul destiny to the exclusion of any other superficial or overly material distractions. Anyone not on the same page as you will find no quarter though, so sorry for them if their orbit of intent wonders too far from the core issue of your heart.